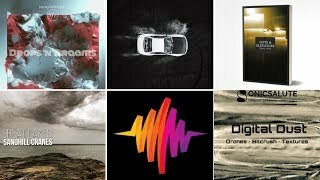 Home Blog New sound libraries: Electric cars, V8s, church and hotel ambiences, new Foley, and more! 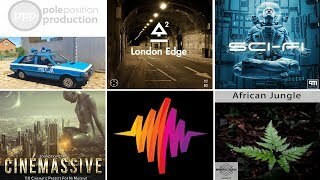 New sound libraries: Electric cars, V8s, church and hotel ambiences, new Foley, and more! This week on A Sound Effect, we have eleven new libraries that bring you high-energy impacts, detailed ambiences, and interesting sonic ingredients. We have creepy libraries that top off the Halloween season with ghostly voices and a collection for horror games. We also have cars from the opposite ends of the loudness spectrum with growling V8 engines and a quiet, earth-friendly electric car, plus three new packs of Foley – footsteps, armor hits, and body impacts – and ambiences from churches and hotels. Finally, if you’re looking for dramatic cinematic action, be sure to check out a Dunkirk-inspired clock library and a compilation of hard-hitting, climatic sci-fi sounds. Happy listening! 'Electric Vehicles vol. 2: BMW i3' by Morten Green Sound FX delivers 162 minutes of stereo recordings of the BMW i3 B-class, high-roof hatchback electric vehicle. 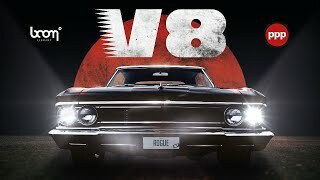 'Cars - V8' by BOOM Library features classic cars like the 1966 Chevrolet Chevelle, Ford Mustang, 1968 Plymouth Satellite, and the sheer fury of a 750 horse-power Ford Shelby GT500 with astonishing definition and sublime detail. Get the legendary sound of classics like the 1966 Chevrolet Chevelle, Ford Mustang, 1968 Plymouth Satellite and the sheer fury of a 750 horse-power Ford Shelby GT500, among others, in astonishing definition and sublime detail. CARS — V8 is the giant brother of EVERYDAY CARS and CARS – SUVS AND VANS, and it's our third installment in the CARS series. All onboard engine recordings include slow, medium, fast, steady and other sounds from the engine, exhaust and interior perspective. The exterior features approaches, turning corners, distant sounds, passes, reverses, starts and rev-ups. Additional sounds like handling, horns and more round off the package. V8 CARS stands prepared to master any linear or interactive challenge that gets thrown your way as a sound designer. With the vast variety of sounds available, you will have the perfect audio to match at your disposal, whether authentic real-time engine ramps or heavily edited film scenes are on the table. Pay close attention to the changes in perspective in the announcement trailer. 'Quiet Hotels At Night' by West Wolf includes 27 stereo tracks with evening and night atmospheres from hotel corridors and rooms recorded in Bulgaria, Sweden, and Romania. Quiet Hotels At Night is the first one of themed library series in which you’ll go through night hotels. The package includes 27 stereo tracks with evening and night atmospheres from hotel corridors and rooms. The library is recorded mostly in large hotels in Bulgaria, Sweden and Romania. You will hear a variety of quiet atmospheres from empty corridors and rooms, air conditioners, bathrooms, an empty lobby bar with working refrigerators, to low activity from neighbouring rooms and backgrounds, screaming from a distant room, etc. Room tones and ambiеnces are suitable background for any audiovisual projects. Enjoy your stay at the Night Hotel. 'Armour Pack 01: Humanoid' by Game Audio Resource contains over 45 minutes of nothing but medieval armor movements for humanoid entities. The Armour Pack 01: Humanoid contains over 45 minutes (250 files) of nothing but high quality medieval types of armour movement actions for an humanoid entity. The included basic construction kit / original recordings enables further armour details to be created for more granular focus. Armour Types: Leather, Cloth, Chain-mail, Segmented. 'Horror Game' by Epic Stock Media is a haunting cataclysm of horror sound effects featuring over 1,200 dark and devious sounds. This horror-able sound pack includes all the essentials and sonic inspiration to awaken latent darkness in any post production session. Perfect for your next zombie horror masterpiece. But use with caution. 'Body Pack 01: Humanoid' by Game Audio Resource contains over 80 minutes of body falls, impacts, and landings on multiple surface types. 'Footstep Pack 01: Humanoid' by Game Audio Resource gets you over 90 minutes of footsteps on multiple surface types and generic movements designed for game audio. 'Trailer Pulse Clock' by TH Studio Production features 10 different types of designed clocks and 7 Kontakt instruments with pulsing, reverberating, and clean clock sounds. Introducing TRAILER PULSE CLOCK, featuring 10 different types of designed clocks. Contains 7 Kontakt 5.6.6 Instruments as well as .wav versions. 'Custom Tools' by SampleTraxx crosses the border between music and sound design with 570+ horror and sci-fi sound effects with 15 cinematic categories. SampleTraxx continues to cross the border between music and sound design with “Custom Tools” a new collection of 570+ new sound effects and 15 categories for true cinematic lovers. 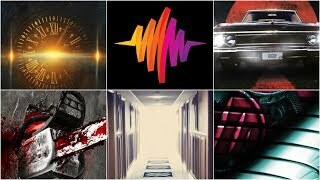 Custom Tools is made to design high definition cinematic sci-fi horror trailer and soundtracks with a variety of production-ready sonic elements, noises and tension. 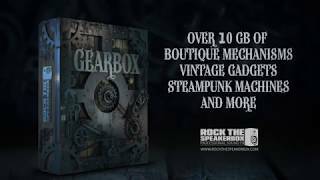 This sound pack is a modern cinematic tool for shocking industrial horror sound design with a sci-fi aesthetics. Featuring 1.5Gb of content, 570+ sound effects and 15 categories in Wav format 48/24 meticulously named and organised for fast workflow to be immediately dragged in every DAW or sampler. For a limited time, when you purchase a license for this library, you also get to pick an additional Sampletraxx library for free. Instructions will be included with your order. 'Churches' by Edible Audio features walla, chair creaks, coughs, prayers, foot traffic, and movements from 8 large cathedrals and small chapels each with their own unique characteristics. Large cathedrals & small chapels each with their unique characteristics and reverb. Recorded at 8 different churches this library features walla, chair creaks, coughs, prayers, foot traffic & movement. All sounds were recorded using the DPA 5100 and Sound Devices 788T. This library is available in stereo or 5.0 (5.0 package contains stereo mix downs as well). 'Ghosts Return' by Articulated Sounds has recordings of male and female ghosts, crows, bells, extensive door knocks from various perspectives, and sounds of ghosts trying to enter a room.